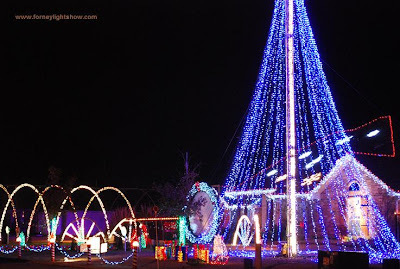 If you have the chance, take a drive over to Forney and see the Forney Light Show, it's more than just a Christmas light display. The only thing they ask is that you bring canned goods to donate. They collect the canned goods for The New Life Food Pantry in Forney. Santa will be there December 18 & 19. Here is a picture from my visit, Brian has a couple of good shots at Texas Daily Photo of the lights.